Christmas fun begins extra early with you! 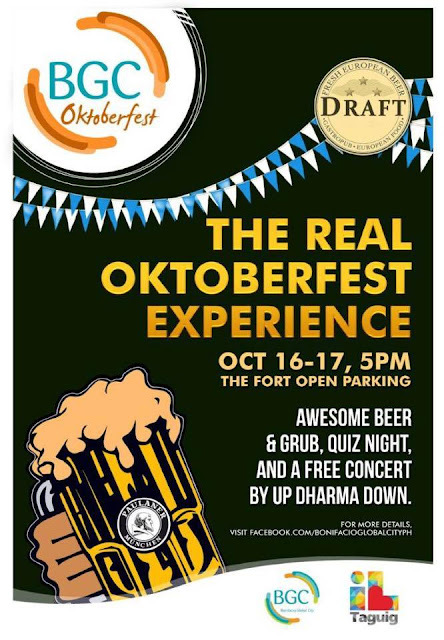 Today, this month, with THE REAL OKTOBERFEST EXPERIENCE AT THE FORT, happening on October 16 to 17 at The Fort Entertainment Complex Open Parking. 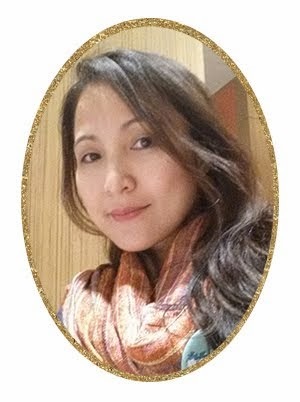 Be the first to come, the first to create, the first to celebrate the intoxicating Spirit of the 2015 Season of fun-loving & giving, here at Bonifacio Global City. It begins today! It begins this month, the magically occult-occurring, pumpkin-partying month of October. The Real Oktoberfest Experience brings you some of life’s most wonderful things – music X delicious grub X fun games X your favorite beer brew that will flow to your heart’s content & uplift your spirit! Feeling hungry? Indulge in a wide array of festival food and drinks at huge discounts. Check out your favorite participating The Fort establishments’ exclusive offers – DRAFT GASTROPUB, ARACAMA, KRAFT, KATSU, SCARLET, TONY ROMA’S, K-PUB, and CABLE CAR. Feeling thirsty? On top of all the usual beer offerings, beer drinkers and aficionados alike are particularly in for an exclusive treat, as Draft Gastropub will be selling the exclusive Paulaner Oktoberfest Bier, a Munich blend that is prepared only during Oktoberfest. Feeling a bit emotional? Down a pint and put those #feels into good use with #Hugot Quiz Night, BGCitizens’ trending trivia contest with surprise questions that tug at your heart & stir memories from unforgettable songs or film scenes. Corresponding prizes await! Feeling game? Also featured during the event are beer pong tables, as well as larger-than-life sets of popular novelty board games such as JENGA, SNAKES & LADDER, TIC-TAC-TOE & more! But your Oktoberfest has more to offer. On October 17 (7pm), we cap the celebration with a free concert featuring our very own yet internationally-renowned act, UP DHARMA DOWN. Merry-making need not wait till December! The celebration begins today…this month! At The REAL OKTOBERFEST EXPERIENCE AT THE FORT. For more information, please visit www.bgc.com.ph/oktoberfest2015 and www.facebook.com/bonifacioglabalcityph or Download the Bonifacio Global City app through the App store or Google Play, for free.